G & S Diesel specialise in heavy vehicle maintenance and repair for the greater Sydney area and are available when you need it - 24 hours a day, 7 days a week. Our service vans are fully equipped with a wide range of parts to rectify any problem, which means we’ll have you back on the road in the matter of hours. G & S Diesel can service and repair all makes of vehicle. Our services are competitively priced, professionally delivered and RTA approved. We can remove RTA defects and even provide pink slips on the spot. 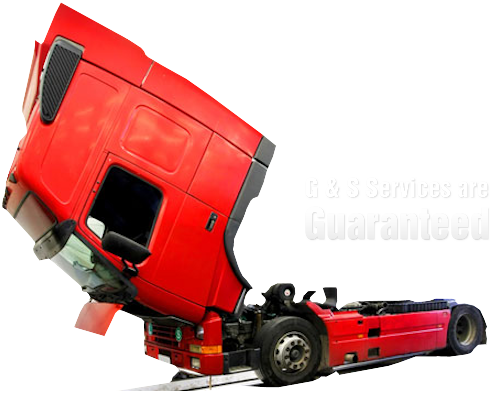 These services are all backed by the G & S Guarantee, which covers parts & repairs made by G & S.
G & S Diesel - Sydney's premier heavy vehicle maintenance and repair group since 1994.